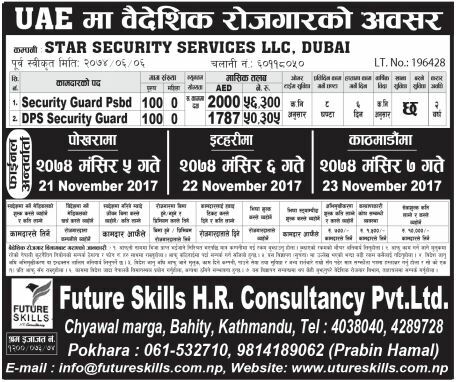 Star Security Services LLC Company of UAE is seeking for the following position. Interested Nepali candidates may apply as soon as possible. Future Skills H.R. Consultancy Pvt. Ltd., Chyawal Marga, Kathmandu.